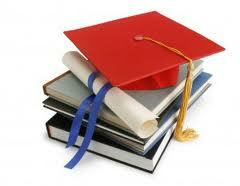 Education in Lakshadweep, Lakshadweep Higher Secondary Education, Lakshadweep Education. Lakshadweep is an island which also included schools and colleges. Since there are residents available in that particular island, Education system must not be disrupted. The Government of Lakshadweep have organized various training sessions, project and course work in the syllabus of the students under Education in Lakshadweep. There are mosques in Lakshadweep where Quran is been taught to small children. The people of this island have a rich religious belief. Schools are mostly Madrasas operated in the island. The Arabic scripts are followed by the students and the teachers under Education in Lakshadweep. You will get to know about an isolated field in Lakshadweep. Even Malayalam language is taught to the students of the particular nation but the problem lies with them is the script. The students are provided with the Arabic script. Education in Lakshadweep has got some peculiarity with regards to its organization. Since the Arabic language is really difficult to be followed, the students face really difficulties to get all their lessons in the particular language. There was a time when Lakshadweep was administered by the British people. It is really difficult to train each and every people in the island. Even the British have got a negative impact on Education in Lakshadweep. They have also exclaimed that, it is really difficult to make people of the island educate in modern English language. They have a good dependency on their traditional approach. They are unaware of anything apart from Arabic. Till the first of century British considered Lakshadweep as place where people are really backward. Soon, Education in Lakshadweep along with the people has also seen a massive progression. The act of 1956 has marked a great change in the particular island. At Amini a first government school has opened up in the year 1904. This is the period marked as an academic history of the nation. Children had to attend Madrassa early in the morning. This is made compulsory in order to maintain their religious belief.